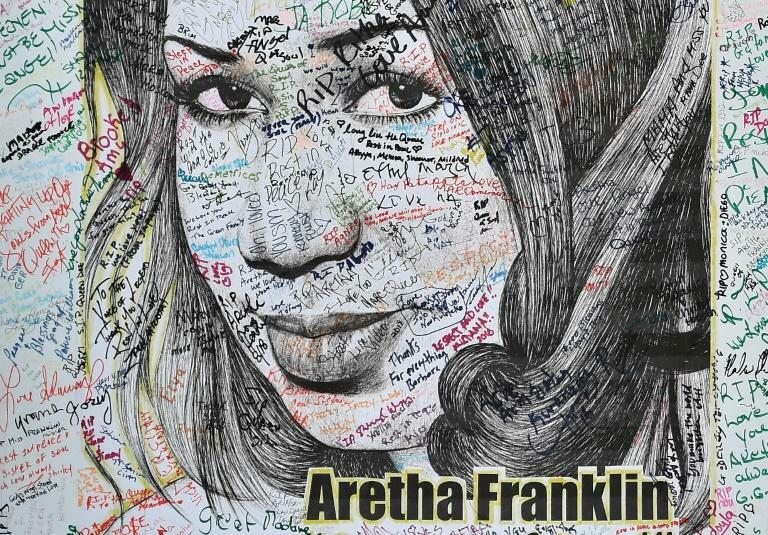 More than 40 artists took to the stage at the concert billed "A People's Tribute to the Queen"
A spectacular concert celebrating the life and extraordinary career of Aretha Franklin brought thousands of joyful fans to their feet in Detroit Thursday, honoring the "Queen of Soul" on the eve of her funeral. More than 40 artists took to the stage at what was billed "A People's Tribute to the Queen," powering through some of her greatest hits two weeks after her death in her Michigan hometown. The US music icon, beloved by millions around the world, died of cancer on August 16, closing the curtain on a glittering six-decade career that made her one of America's most celebrated artists. The concert spanned the R&B, Gospel, Jazz and Blues, even classical genres in which Franklin excelled. Her grandchildren spoke briefly, delivering heartfelt thanks on behalf of their family and grandmother. She influenced generations of female singers from the late Whitney Houston to Beyonce, with unforgettable hits including "Respect" (1967), "Natural Woman" (1968) and "I Say a Little Prayer" (1968). "The concert is wonderful. I mean for people that couldn't be here you just don't know what you're missing," said Tembley Reynolds, 60, a medical records clerk from Saginaw, Michigan. "Everyone was great!" Free tickets were snapped up within minutes of being made available online at the 5,000-seat, waterfront outdoor Chene Park Amphitheatre, where Franklin herself had performed. Performances included Franklin's hits "Freeway of Love" -- an anthem to the Motor City -- and "Say A Little Prayer," with an all-cast rendition of "Respect" scheduled to bring the house down in finale. Her signature song, the feminist anthem became a rallying cry as African-Americans rose up nationwide in the 1960s to fight peacefully for racial equality. 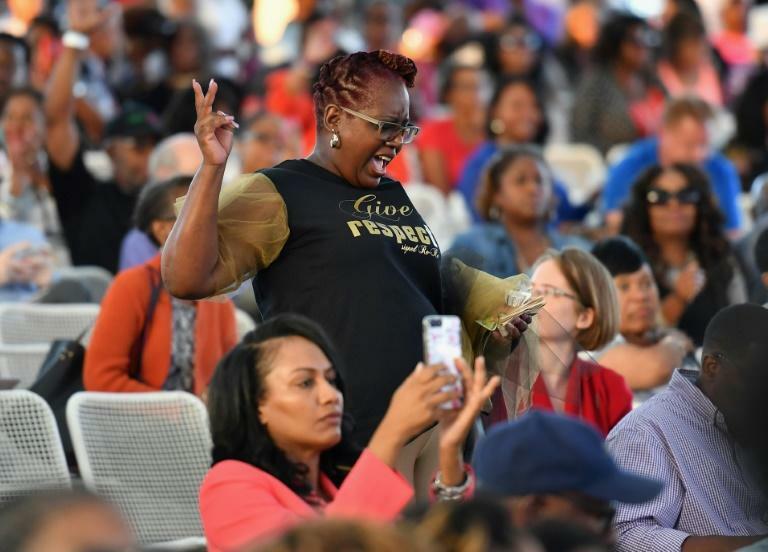 Headliners included The Four Tops, Dee Dee Bridgewater and Angie Stone, while a gospel choir took everyone to church, rousing the crowd to their feet with an electric, upbeat performance of classics and a powerful rendition of "Amazing Grace" by Tasha Page-Lockhart. Tenor Rod Dixon even sang "Nessun Dorma" in a tribute to Franklin's last-minute performance of the Puccini aria when Luciano Pavarotti called in sick at the last minute at the 1998 Grammy Awards. The concert followed three days of public viewings of her open, golden casket that drew thousands -- at her father's New Bethel Baptist Church, and the Charles H. Wright Museum for African-American History. On Thursday, she lay resplendent in the church dressed in a rose gold outfit and matching Christian Louboutin stilettos. On Tuesday, she wore a red dress with matching heels and on Wednesday she was in blue. 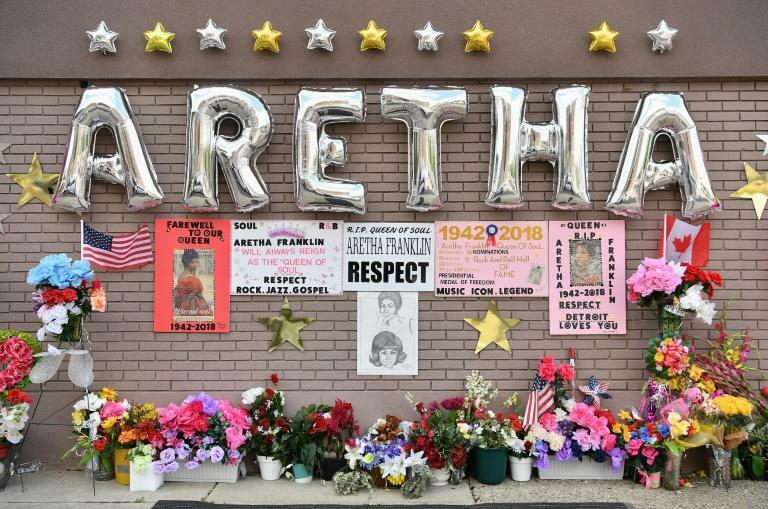 "I wanted to come here in the jubilance, the joyousness, the celebration of Aretha and her legacy," said Dorlena Orange, 68. "We're like a party. It's like a beautiful, wonderful thing." The New Bethel Baptist Church held a special place in Franklin's heart. It was there that she hosted Thanksgiving and Christmas dinners for parishioners and the needy, and also recorded an album. On Friday, former president Bill Clinton and Smokey Robinson are among those due to address her six-hour, invitation-only funeral with musical tributes coming from Stevie Wonder and Ariana Grande. "I think it's going to be a very upbeat service. I think it's going to be a very jubilant service," said Bishop Charles Ellis, pastor at the Greater Grace Temple where the funeral is being held. She was awarded America's highest civilian honor by George W. Bush in 2005. Letters from Bush and Obama are expected to be read at the funeral.